From Barot, we went to Kasol, another small town of Himachal Pradesh situated in the Parvati valley. From Ghatasani, we boarded a bus to Bhuntar via Mandi. We came through a tunnel in Aut, which is situated little before Bhuntar. These engineering marvels always fascinate me. Bhuntar has a small airport with few flights to Chandigarh and Delhi, mostly catering to the tourists arriving for Kullu and Manali. Kullu is just 5 km away from Bhuntar. I bought, at last, the traditional Kullu topi in Bhuntar as a souvenir of this trip. In Bhuntar, Parvati river meets Beas river and they continue their journey as Beas river. One could easily distinguish two rivers at their 'Sangam', one was rich in silt and other was cleaner and greener. We boarded a bus from Bhuntar to Manikaran. Manikaran is 34 km away from Bhuntar. Kasol is 3 km before Manikaran. Manikaran is a famous pilgrimage destination and we saw many pilgrims flocking to Manikaran having orange and yellow flags on their vehicles. Manikaran has a famous Gurudwara, Manikaran Sahib, a temple and a hot water spring. 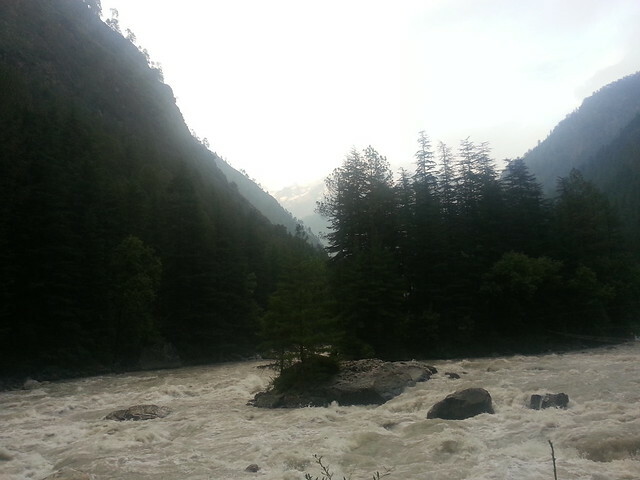 The journey from Bhuntar to Kasol was the most pleasant one in our journey so far. We were on a bus with the mighty Parvati river flowing in the valley, lightly raining, cool air blowing and with mind lost somewhere. Not to forget the dangerous roads. On our way to Kasol, we saw baskets moving on wires from one hill to another on the other side of the valley. This motorised apparatus was installed to transport materials to inaccessible villages. We reached Kasol in the evening and after searching for hotel rooms, we settled for one cottage on a hill slope, little secluded from the main market of Kasol. 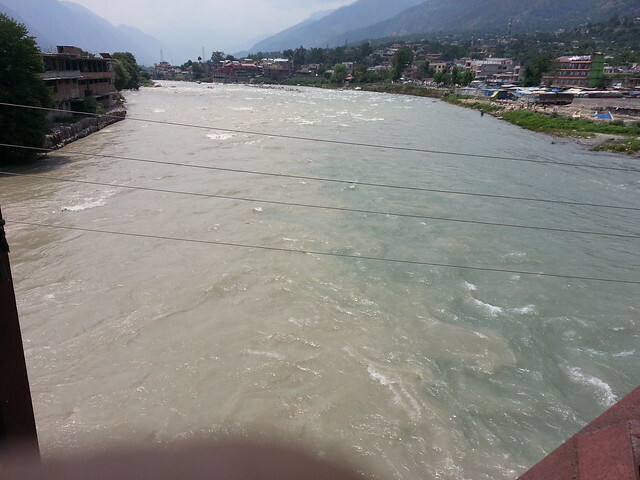 We then went near Parvati river. The roar of running water was splendid and so were the rapids formed by rocks. 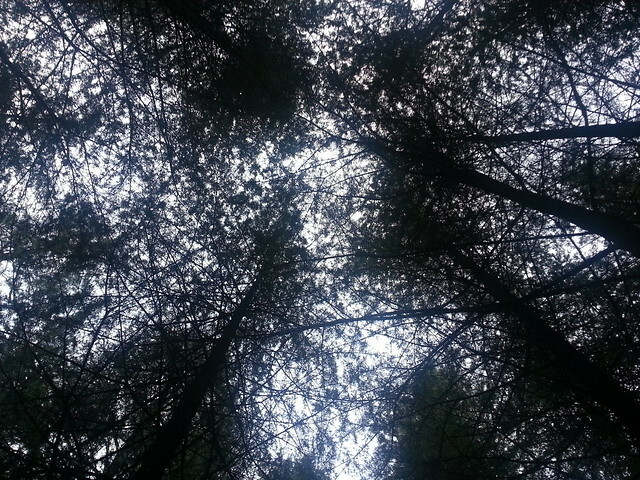 On one side was Parvati river and on the other side was a jungle of chir trees. It was a beautiful setting. From Kasol, we could see snow capped peaks in distance shining because of the reflection of the red sun. We continued our journey along the banks of Parvati river on the road to Manikaran. There we came across a small bridge on Parvati river meant for a small village on the other side. While crossing this bridge, it started vibrating which frightened us, more so in the backdrop of the river colliding with rocks and increasing turbulence. 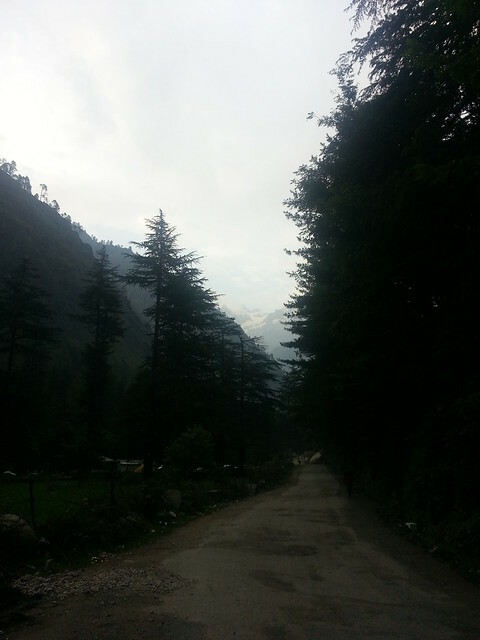 It was already dark and we started to return towards the market area of Kasol. This small village was particularly famous among Israeli tourists. We saw many of them. In fact, one of the shopkeepers told us they have been living here for months and are hundreds in number. Many of them are living in villages on the outskirts of the Kasol. The importance of Israeli tourists can be understood by many signboards which were in Hebrew. One of the signboards described Kasol as Chabad of Israel. Even restaurants served Israeli cuisine.